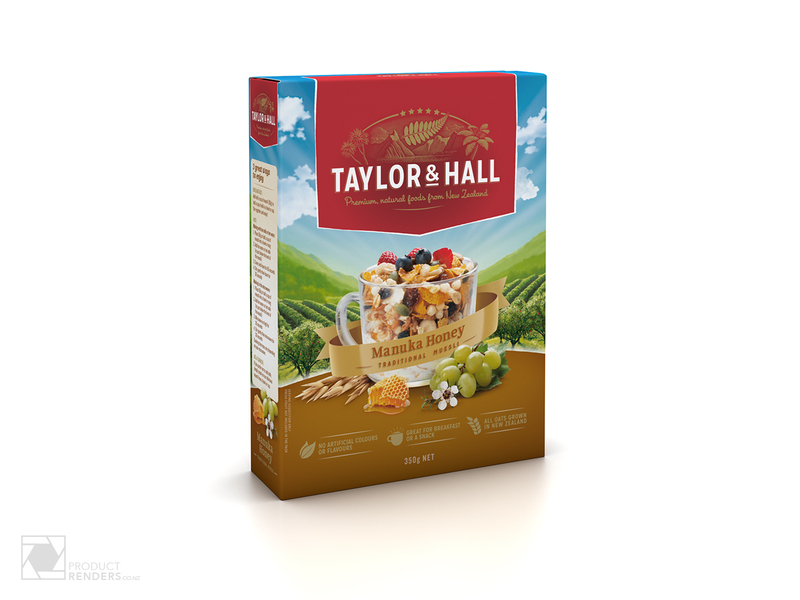 The Taylor & Hall muesli range is a New Zealand international brand created for the export only market by SmartFoods. 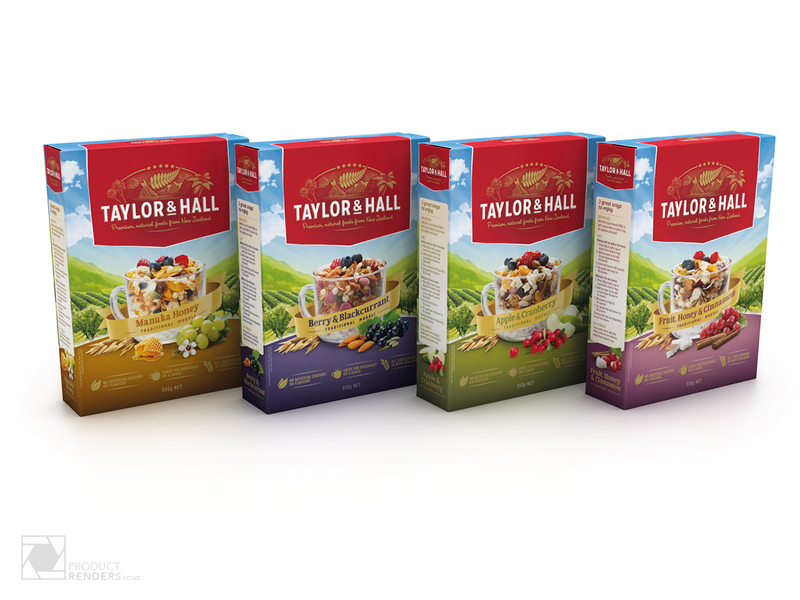 We created multiple renders of the Marx Designed packaging and as we had work very closely with the designer at Marx during the entire design and production process, we were asked to produce multiple renders for the launch of the new product range. More information about SmartFoods can be found here in this great artical written for the NBR.